Courtesy of Hugh Starr & Co LLC. The DeRego Homestead in Keokea: Six (6) Tax Map Parcels...Two (2) 3/4 water meters...total area is 58 acres. Outrageous ridge line bi-coastal views. 4 Water Meter Places on the Upcountry List: #256, #257, #258, and #1720. Steeped in UpCountry history, the improvements are very old and would make great ranch/farm foreman's quarters. A mix of improved Kikuyu Grass Pastures and Black Wattle Forest....partially fenced...many mature and tasty fruit trees...olden days water cistern and rock/plaster Portuguese oven, and more..numerous old out-buildings. Re-configure the Six Parcels via the County's 'fast-tract' Ordinance #2372. Please note there is A 14-PAGE PICTORIAL EXECUTIVE SUMMARY ATTACHED; it is emailable. 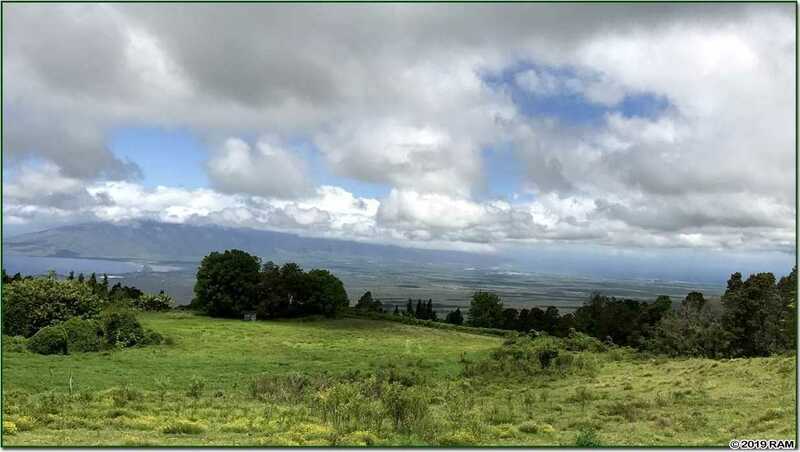 Please, send me more information on this property: MLS# 381198 – $3,500,000 – 7700 Kula Hwy, Kula, HI 96790.